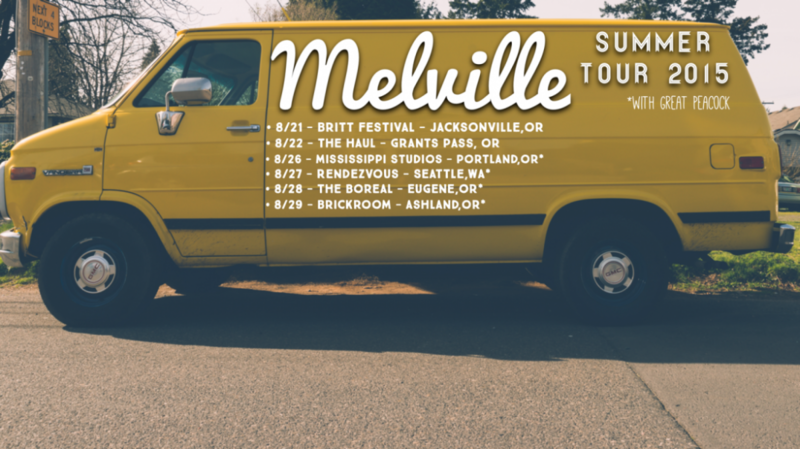 Melville is hitting the road! Head to the TOUR page to check dates, grab your tickets and share the event with friends! HERE is a link to an article published in lead-up to the show! 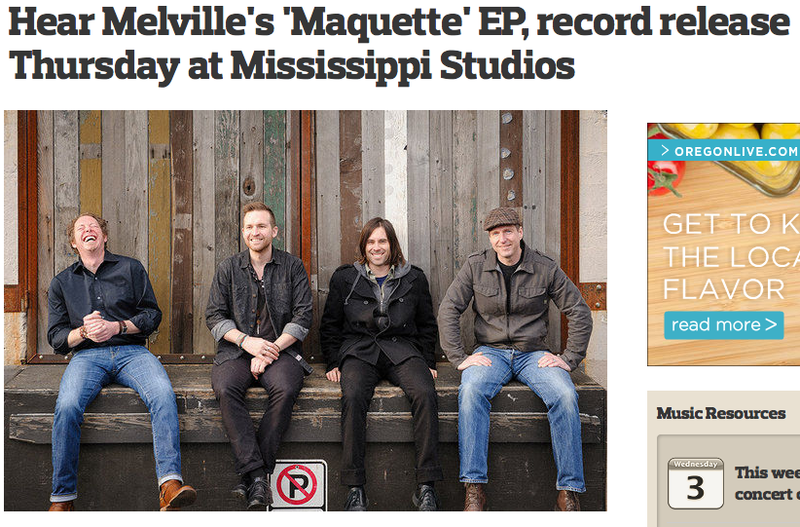 The good folks over at Portland Live had some kind words about our album release show. Check out the review HERE. We were fortunate enough to get a great write-up in Portland’s largest newspaper! Just click HERE to go to the article. We were fortunate enough to get to play the KINK.FM Bing Lounge where great national touring acts such as The Avett Brothers, Iron and Wine and My Morning Jacket have taken the stage, as well as other great Portland bands like Blitzen Trapper, Blind Pilot and Typhoon to name a few. Everybody, from the fans that came, all the way to the talented and friendly KINK.FM staff was fantastic! Here’s a track from Portland band Melville, from their upcoming EP Maquette, due out in September. 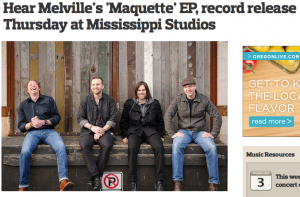 The band’s Ryan Jacobs dropped us a line with the news, adding "We’ve heard Jason Molina to Father John Misty." I definitely hear those influences, but Melville has something entirely there own on "Forked Tongue," including a sense of involving drama among the rich weave of guitars. 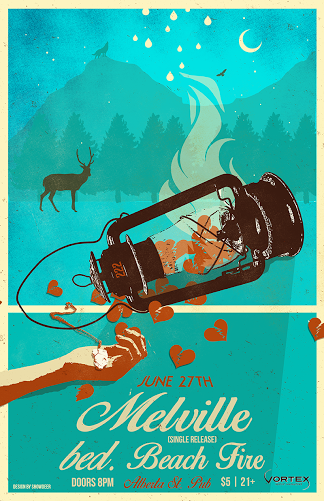 Melville play the Alhambra Theatre (in the Tebbetts Lounge area) on Wednesday, June 26 with Fanno Creek and the Bevelers as part of their new Wednesday night series of free shows organized by Theo Craig. via Music Monday! Laura Veirs, Wampire/STRFKR, Beyondadoubt & More | End Hits.